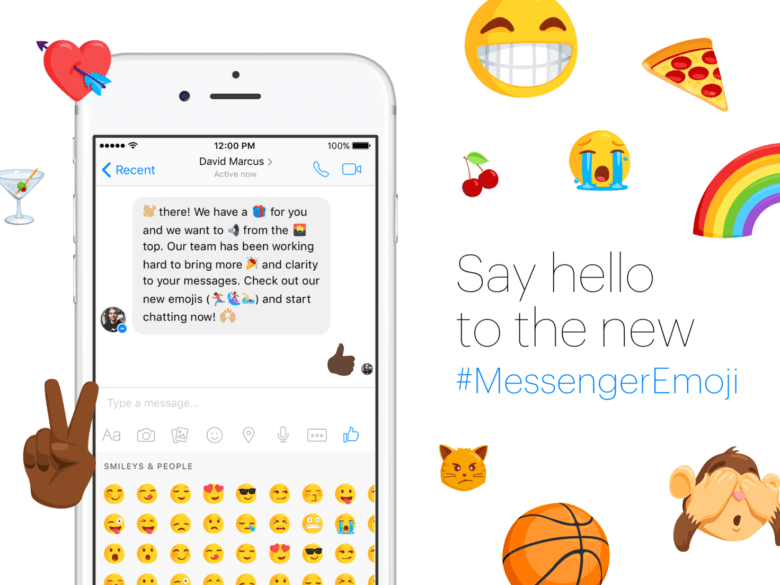 Meet Messenger's new emoji characters. Facebook is finally giving its Messenger emoji characters a much-needed overhaul. 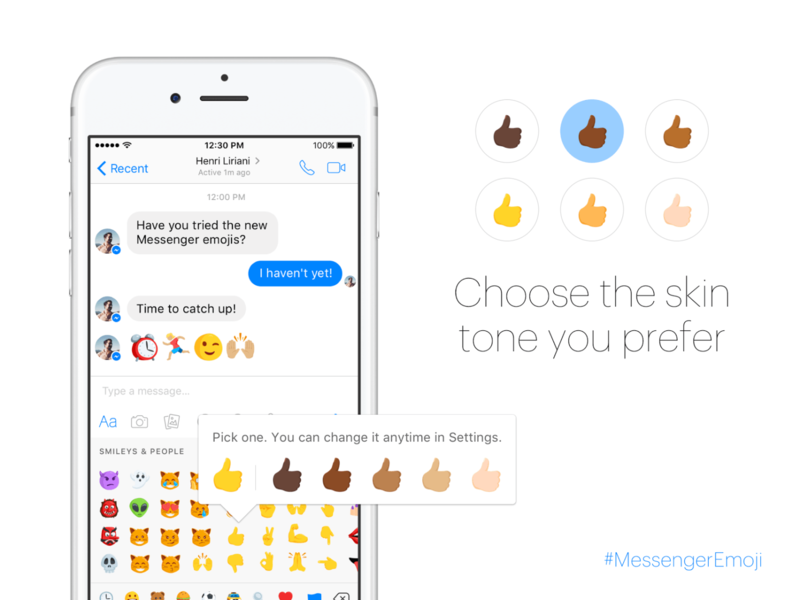 Starting today, users will see all-new emoji designs with support for skin tone selection inside the official Messenger apps on all platforms. 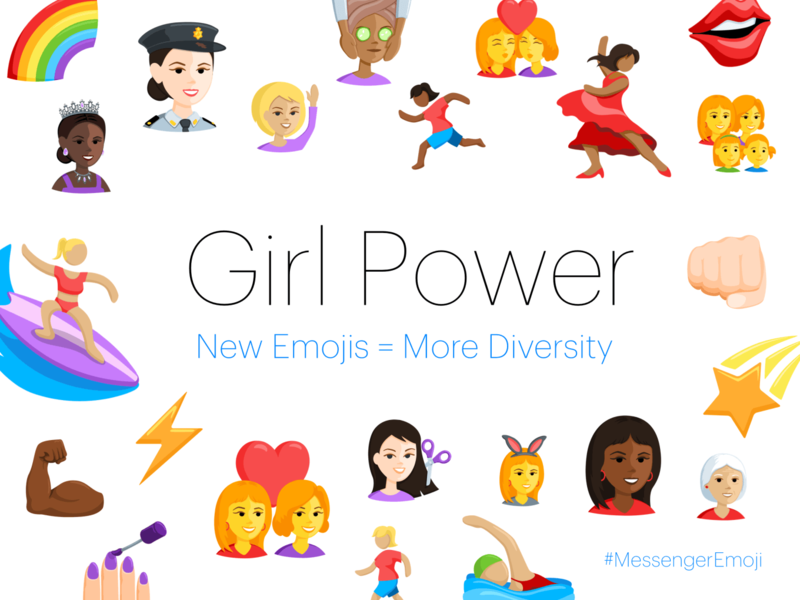 Apple can be credited with kickstarting the diverse emoji revolution after adding skin tone selection to its emoji library in iOS 8.3 last year. Google is planning to do the same in Android N this fall, but Facebook will get there first. Not only does Messenger’s new emoji set come in six skin tones, but it’s also the first to offer “a female police officer, runner, pedestrian, surfer, and swimmer,” Facebook says. The company is also planning to add more female characters later. “We’re diversifying the genders to create a more balanced mix that’s more representative of our world,” reads Facebook’s announcement. And that’s not the only thing that’s great about this upgrade. For the first time, no matter which platform you’re using Messenger on, you’ll only see the new emoji made by Facebook — so you’ll get exactly the same characters as your friends. This is the closest we’re going to get to a standardized emoji catalog for now. It means Messenger’s emoji will look different to those in the Messages app on iOS, and the stock icons coming to Android N, but at least they will always look the same on Facebook.